Headquartered in Gurugram, the CORE Diagnostics is a high-end clinical laboratory that provides next-generation diagnostics for preventive healthcare, precise disease stratification, and therapy selection. With a sprawling 20,000 Sq.ft lab space accredited by National Accreditation Board for Testing and Calibration Laboratories (NABL), the company has implemented some of the most integrated informatics solutions to generate end-to-end efficiency and quality management. The fast-growing start-up has so far raised a total of $16M in two rounds – Series A in 2012 of $5M and Series B in 2016 of $11M. Zoya Brar founded CORE Diagnostics in 2012 when she was 23 years old. 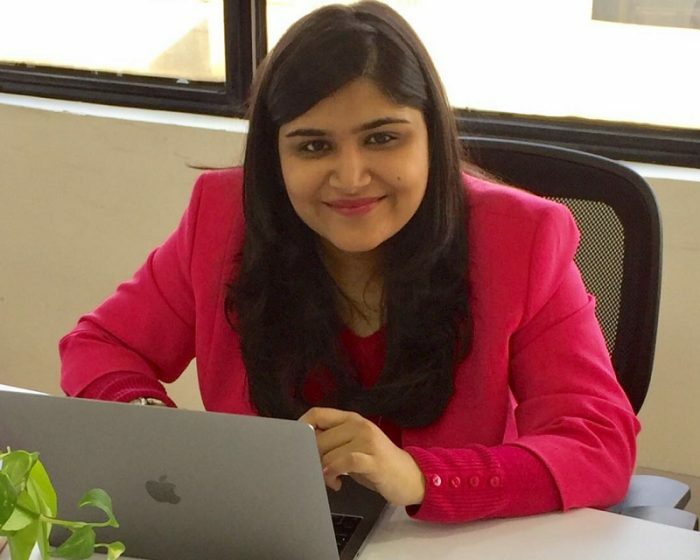 Before succumbing to the entrepreneurship bug, Zoya worked at Google for two years in various roles in business development and customer outreach. Please tell us about the journey of CORE Diagnostics so far, including major achievements as well as challenges? The inception of CORE Diagnostics was based on a simple observation: while the “delivery system” of healthcare services had caught up with the western standards, clinical diagnostics had lagged behind the developed markets by almost a decade. Despite having a handful of large players and local labs, we saw a ‘white space’ opportunity: high-end diagnostics. This meant that there was a dire need to move away from routine diagnostics while bringing in advanced technologies and techniques to address the underserved high-end diagnostics market. This was when CORE came into the picture in 2012 to bridge this gap by making the advanced diagnostics procedures available, affordable and accessible in India. In a short span of six years, CORE has established itself as the fastest growing lab having the richest test menu in oncology, infectious disease, and gynecology. Since inception, CORE has been extensively working on launching India specific offerings to improve patients’ health. Not too long ago, CORE joined hands with Guardant Health to launch the world’s leading comprehensive liquid biopsy test in India for patients in advanced stage of cancer. Last year, CORE added another feather in the cap by achieving the shortest turnaround time from 7 days to 5 hours through the COREprime technology for faster diagnosis. A similar partnership was forged with Promega biotech to bring in technology that helps in the selection of the most effective clinical intervention. Despite these rapid advancements, the sector is facing countless challenges. The diagnostics space is largely unorganized and fragmented comprising about 100,000 diagnostic labs out of which 90 percent of the market is dominated by unorganized players coupled with lack of specialized clinical expertise to move away from routine diagnostics. Therefore, awareness amongst the clinicians, especially outside the big metros – regarding the importance of diagnostic, prognostic, and predictive tests is another key challenge. Further, regulatory headwinds will remain a challenge for healthcare for the next several years. Which are your key products and services areas? Do they match with the market expectations including affordability, quick service, etc. in a vastly populated country like India? CORE has established itself as the largest, and the fastest growing company in the high-end diagnostics space with a broader coverage test menu of almost over 1500 tests in oncology, infectious disease, and gynaecology. CORE offers to test in each of these disease segments, more so in oncology, but we’re expanding our portfolio in those segments too where we feel that the diagnostic gap is the greatest. We are quickly branching out into urology, nephrology & neurology disease diagnostics. As a standard key initiative, CORE also runs a couple of genetic counselling programs from time-to-time to benefit both patients and clinicians. Our offerings have helped over 2,00,000+ patients get the correct diagnostic answer. As mentioned earlier, we recently reduced our turnaround time for lung cancer diagnostics as a part of our COREprime panel from 7 days to 5 hours. Another example was the launch of our COREconnect app that enables patients to attend private counselling sessions online with our Medical Geneticist via voice and video chat features. With an aim to offer our services to tier 2 and tier 3 cities, we have our philathropic arm, COREsocial to reach those who are most in need, and to lead and publish research in the area of genomics and molecular diagnostics. Lastly, we have our educational initiatives to build us as thought leaders in the space. This includes COREssence that shares scientific developments in the form of short summaries with our clinicians and our Case of the Month series that shares the most interesting and unique case that month that we have seen in our lab. Further, as part of our other initiatives, CORE Diagnostics has also partnered with the Government of Punjab to run one of the largest cancer screening programmes for Hepatitis C at very competitive prices. How has the market response been to the recently launched nephroCORE? How do the services under it stand out from the competition? According to a recent The Lancet study, CKD (Chronic Kidney Disease) ranked 16th as the leading cause of ailment in the country. It added that by 2040, renal failure could well be among the top five ailments. Given this, kidney disease is the third largest killer after cancer and cardiac ailments. In the course of the last few years, there has been a steady rise in premature deaths due to chronic kidney diseases; more than the fatalities related to HIV/AIDS in the country. Thus, timely diagnosis holds the key to prevent the progression of the condition among patients. Owning to our high-end diagnostics capabilities, CORE is helping diagnose kidney diseases before they progress to a later stage, which saves the patient from heavy financial burden that comes with later treatment. CORE is also bringing ease to clinicians’ lives through real-time data collection done via easy shipping and doorstep sample collection using special collection kits that offer better sample stability compared to the ones available in the market coupled with quality reporting and faster turnaround time. This is done by using unique immunohistochemical markers that permit definitive classification of renal ailments and further help treating physicians with their treatment plans. Currently, we’re accepting patient samples from all across the country as well as from neighboring countries which has already reached 200 patient samples per month. How do you look at the diagnostics market scenario in India currently and in the future? Please share a few trends. 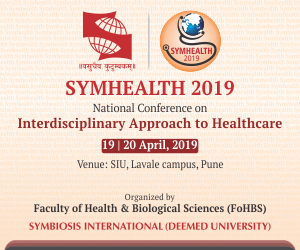 The diagnostics sector in India is poised for a sharp growth owing to the increasing incidence of lifestyle diseases as well as improvements in technology and diagnostic procedures. Over the last couple of years, the market has grown at a rate of 15-20% and is at nearly INR 40,000 Cr. as of 2016. The industry has been growing over the last many decades. However, it is still fragmented and a large chunk of the market is still ruled by unorganized players in the industry. Talking about trends in the diagnostic industry, one of the major trends we observed is the shift towards genetic-based testing and molecular diagnostics. Today, new diagnostics methods based on genomic and proteomic profiling of the molecular changes associated with the disease are being developed that is important in therapeutic decision making. The second trend is the rapid digitalization that is equally pushing the boundaries in the diagnostics space. Digitization across diagnostics has improved access to diagnostic services and overall patient management in resource-limited settings whether it is by providing rapid diagnostic test results, standardizing the interpretation of results, ensuring testing quality, reducing interpretation and transcription errors or remote monitoring. Amidst this, Artificial Intelligence and Machine Learning will become stronger in independently diagnosing disease and deriving clinical treatment decisions. Illumina Executive Chairman, Jay Flatley was recently at CORE Diagnostics. What were his thoughts and how was your experience while hosting him? It was an honor hosting Mr Jay Flatley at the CORE Diagnostics healthcare meet, which bought together attendees representing pharma executives, top healthcare leaders, and senior physicians. Addressing the attendees, Flatley stressed upon the evolution of genomics and much needed next step in understanding disease patterns that are specific to people of Indian origin – such as propensity to diabetes, metabolic disorders, cardiovascular disease, and several types of cancer. He further described the approach of precision medicine as an opportunity that will transform the way we approach medical challenges. According to him, India had made excellent progress in the past five years in creating awareness about molecular diagnostics and precision medicine. He expects the industry to attain double-digit growth and make genomic sequencing accessible to a much broader population base. What is your future outlook for the CORE Diagnostics? Within a few years, CORE Diagnostics endeavors to make more technological tests available and accessible in India which will make targeted, individualized treatment one step closer to reality. CORE is rigorously working to re-shape the diagnostic industry that it becomes the central function of healthcare delivery. We will begin to make inroads into an advanced diagnostics space in 25 additional countries. In fact, we are now in the planning phase of entering into more Middle East and African countries and tier 2 & 3 Indian cities where there is a greater need for awareness and availability of high-end diagnostics in India. To make this possible we are partnering with primary care providers and with the government to expand. We are also adding new clinical areas enabled by the latest, cutting-edge technologies in whole-genome sequencing, proteomics, and more recently, metabolomics. Alongside, we continue to expand our footprint globally and locally through various partnerships with the government, pharma companies, and health tech companies to making preventative tests available and accessible to consumers directly at home. On the technology front, CORE constantly keeps introducing innovation in its product portfolio, sales model, and service delivery, offering the best-in-class diagnostic accuracy and quality while strengthening the healthcare ecosystem. We want to introduce innovation to address the underlying complexities of high-end diagnostics that requires extensive collaboration with academia and the pharma industry.